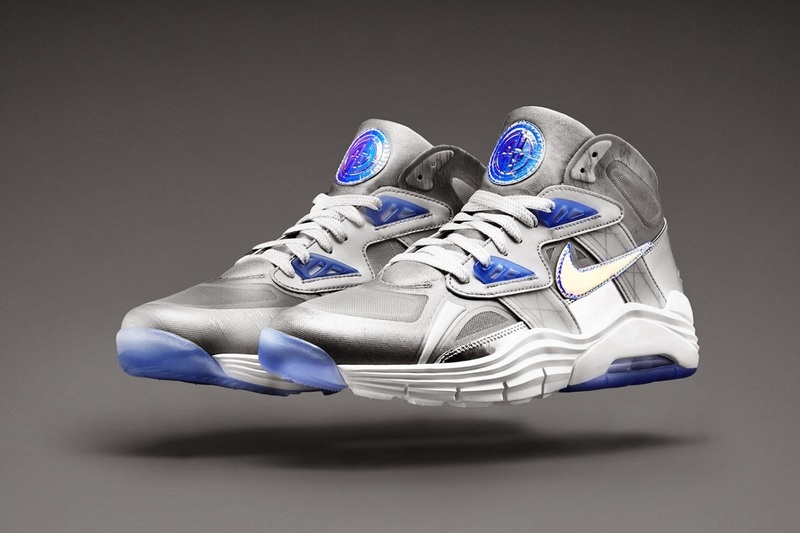 In honor of Super Bowl XLVIII at New Jersey’s MetLife Stadium, Nike Sportswear has updated the classic Air Trainer SC to create the Nike Lunar 180 Trainer SC. Featuring a lightweight version of the original upper crafted in Hyperfuse and synthetics, the design boasts a brand new sole unit that pairs a 180 Max Air heel unit with Lunarlon and Free-like siping at the forefoot. Decked out in silver with icy accents throughout, the Super Bowl edition of the Nike Lunar 180 Trainer SC will soon be available at select NSW stockists.